Sometimes you run across people who are just so darned talented in so many ways and has such a seemingly cool life it seems quite unfair to the rest of us mere mortals. Pamela Allegretto is one of these folks. 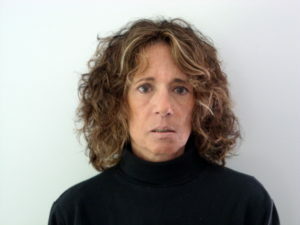 She was educated at L’Università per Gli Stranieri in Florence, Italy, lives in Connecticut and divides her time between writing, painting, and translating. In addition to the new historical novel: Bridge of Sighs and Dreams, Her published work includes dual-language poetry books, translations in Italian literary journals, articles in local newspapers and on-line websites, CD covers, and cartoons. Her original art is collected worldwide. If it wasn’t for her habit of sending emails in comic sans, I wouldn’t believe she’s mortal. I, on the other hand, managed to feed Byron, my cockatiel, without spilling any seeds on the rug this morning. Not in the same league at all. What is it about that period or character that intrigued you and motivated you to write about it? While growing up, I always hated listening to jokes about the Italians going into World War 2 with their hands raised. This was not at all the case, and I wanted to point out the bravery of the Italian population during this horrific time. 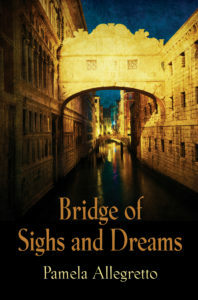 Although Bridge of Sighs and Dreams is fiction, It is based on real events. I felt compelled to write a war novel in which the women don’t play the role of wallpaper or objects of amusement to soldiers and politicians. The women in Bridge of Sighs and Dreams take center stage in a behind the lines battle between good and evil. I think I’d like to be interviewed by you but Pamela looks like a hard act to follow! Will you tolerate historical crime fiction (set in Georgian Scotland)?